1) Have plenty of food available for your guests. Food not only slows the absorption of alcohol into the bloodstream, but it also gives guests something else to ingest, effectively slowing the consumption of alcohol as well. 2) Have a wide array of non-alcoholic beverages available. Making a specialty non-alcoholic “mocktail” to serve during the evening can not only help limit alcohol consumption but can also make kids, designated drivers, and non-drinkers alike feel special. See some great “mocktail” ideas here. 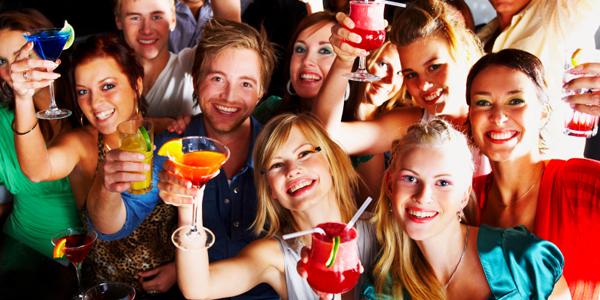 3) Have activities or other special events planned so that drinking does not become the evening’s major attraction. 4) Designate a bartender or hire one. Having someone in charge of the spirits can help regulate the number of alcoholic beverages served and ensure that only guests over 21 are imbibing. 5) Provide alternative transportation, either by designating sober drivers willing to take intoxicated guests home, or hiring transportation. Keep information for cabs or ride-share services handy for guests who may need them. 6) Finally, as the host, stay sober so you can be sure guests leave your home, and arrive at theirs, safely.